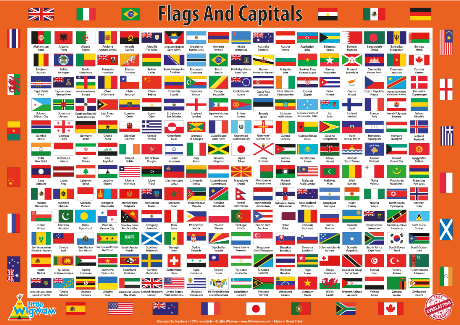 Which is the only country whose flag isn't rectangular? Ouagadougou is the capital of which country? 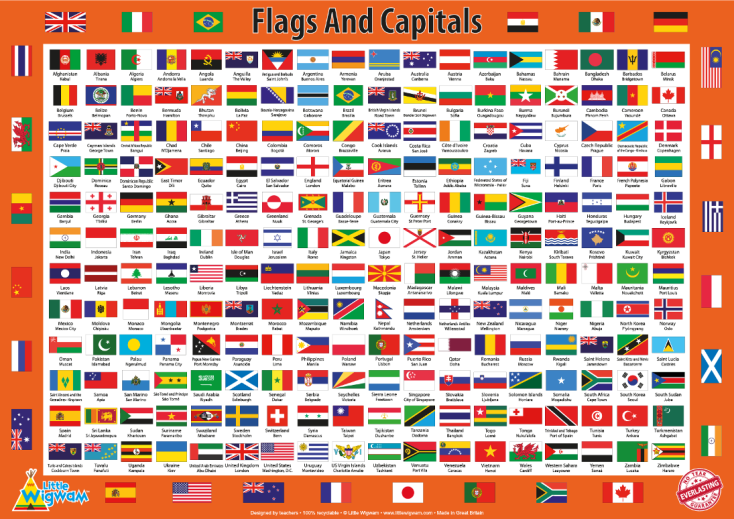 Find out these facts and more from our amazing Flags And Capitals poster!